For the services described below, we develop the design brief in conjunction with the client. We handle the design of the installation, prepare tender documentation, adjudicate tenders, oversee construction, conduct periodic site and hand-over inspections. We certify payments and ensure as built documentation and latent and patent defects are followed up after contract completion. The choice of electrical tariff can dramatically affect the connection fee paid by the developer. A connection fee can be reduced as much as 60%! Correct choice can also minimise the cost of electricity consumed. We advise clients on the best cost effective choice available. High voltage switches, transformers, distribution boards and cabling can greatly add to the cost of a project. We explore reliable alternative solutions to substantially reduce these cost. The degree of standby power provided depends on life safety requirements, such as emergency lighting, powered life-safety equipment, lifts and mechanical plant, as well as the client's operational requirements in the event of power failure. We analyse these needs to ensure that the procurement and operating costs of this equipment is minimised. The costs of lighting depend on the levels of lighting required, the energy efficiency of light sources, the degree of daylight present, aesthetic appearance of the fittings, and the mood required in the space. With detailed computer modelling of various lighting alternatives, including the running costs, we can help our clients choose the most cost-effective solutions. The impact of a building's architecture and interior design is enhanced by creative lighting. The use of computer controlled dynamic lighting and scene setting, colour control and gobos, colour washes and mixing, down- and up-lighting can strikingly complement the architectural and interior design. At night, architectural fa�ades and exterior landscapes are entirely dependent on lighting for impact. We use lighting design to complement and highlight interesting architectural elements, and can implement different effects on different or special nights to add interest. We pay special attention to the provision of sufficient and conveniently located mains, clean power points, and telephone and data points. The increased flexibility due to a higher density of these services has a significant impact on the electrical cost. The provision of fire detection systems is mandatory in terms of the building codes. We advise when systems are required, as well as the extent and type of system which would provide the most cost-effective solution. Integrating the evacuation function with a public address and background music system can increase the cost effectiveness of the system, as can the selection of the type of speakers, control equipment and amplifiers. This applies particularly to the retail environment. We help the client analyse the CCTV requirements in terms of reduced guarding, deterrence value, audit and incident recording, digital storage and retrieval, video and IP based front end systems, necessary image quality and frame rates, control room ergonomics, and the need for off site viewing. Using our experience in high security, office and retail sectors, we can advise clients on the most effective, workable and convenient systems. The use of proximity and active cards makes the system convenient and flexible, and can be integrated with the CCTV system to provide video records of events. These provide off-air and satellite TV signals to a TV outlet in each tenancy. We design the antenna, control systems and TV cabling networks for these systems. Data and telephone cabling is designed to have a bandwidth suitable for the application, varying from 10MBytes/s to 1GByte/s. Patch panels are designed to interconnect the structured wiring to the switches and telecommunications equipment. This involves the assessment of the entire development for compliance with the statutory requirements of SABS 0400. With our extensive knowledge of fire design, we take all necessory factors into consideration. Departures from the 'deemed to satisfy' rules are submitted to the local authority for approval where applicable. We design the powered smoke extraction and natural smoke ventilation systems from concept stage to final commissioning. These designs are incorporated into the Rational Fire Design documentation for approval by the local authority. By using computer software, fire modelling can be utilised to ensure that the correct volume of smoke is extracted whilst maintaining a clear layer height for evacuees. This ensures that the correct type and amount of smoke ventilation equipment is installed thereby ensuring life safety and reducing capital costs. We design the powered staircase and lift pressurisation systems to achieve the requirements of the national building regulations and local council requirements. We provide the complete design for the fire protection systems from water supply and storage requirements to the sprinkler head layouts. In addition, fire hose reel, extinguisher and hydrant design is taken from water supply stage to final fitting with particular emphasis on aesthetics, theft and vandalism of equipment. These designs conform to the statutory requirements and include investigations into flow and pressure performance of existing water supplies. Flow and pressure tests are conducted on all fire protection equipment designed by our office to ensure that the final product will operate correctly when required to do so. The provision of fire detection systems is mandatory in terms of the building codes. We advise when systems are required, as well as the extent and type of system which would provide the most cost-effective solution. Evacuation systems are mandatory in many buildings. Integrating the evacuation function with a public address and background music system can increase the cost effectiveness of the system, as can the selection of the type of speakers, control equipment and amplifiers. This applies particularly to the retail environment. We undertake complete analyses of buildings to identify fire compartmentalisation and fire proofing requirements. Firewalls, fire dampers, fire doors and fire proofing of services are identified and detailed. Full fire and escape signage drawings are produced in accordance with the statutory requirements. Representations are made to council on behalf of client and architect where alternative signage is desired for aesthetic considerations. By incorporating the signage into the emergency lighting layout, waivers can be sought for size and type of signage. We perform lift traffic and escalator traffic analyses to determine the most cost-effective solutions to vertical transportation. 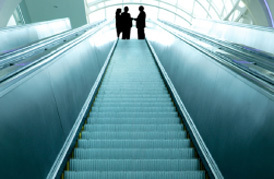 We advise the client on how to configure lifts and escalators to optimise traffic flow. We design integrated high security systems. We assess our clients needs and offer a wide range of high quality security systems and options with the latest technology. We determine the most suitable method of providing hot and cold water to the building. Cold water supply from Council is assessed in terms of the building's requirements, National Building Regulations (NBR) and local council requirements, i.e. the supply is assessed in terms of flow of pressure for the expected demand. The size of the required cold water connection is determined and metering requirements coordinated with Council. Drainage is designed to comply with the NBR and local council requirements. Connection into the Council's sewer is coordinated directly with the local council representatives. All systems are designed to ensure adequate venting, anti-siphoning and access for rodding purposes. Drainage drawings are prepared for local council submission. Suitable down pipes guttering systems, full-bores and drains are designed to drain rain water from the building. The connection to the Council storm water drain is coordinated with the local council. We assist the Architect where requested in the selection of suitable sanitary ware for each application. Pressure and flow requirements for the sanitary ware selected for each project are assessed to ensure that the system will operate satisfactorily.